Cliff Barackman has written a great article and posted it on his North American Bigfoot Blog. He revisits his hypothesis of Bigfoot clapping, in place of actual wood-knocking. He also reviews some recorded sounds of deer vocalizations. On a more recent expedition to Bluff Creek, he encountered some vocalizations of what he first assumed were Bigfoot. Now, after hearing these two deer vocalizations, he now thinks he may have heard deer, rather than a Bigfoot. This candid honesty is what makes me really respect Mr. Barackman. 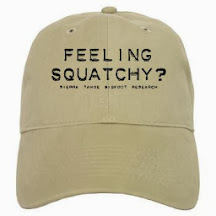 We all know, there are Bigfoot researchers out there who would make every excuse in the world, to say that their recordings are Bigfoot. Obviously, Mr. Barackman is looking for scientific data, not sensationalism. Click here for an audio recording of what is believed to be a white-tailed deer. The Roe Deer bark has me a little in awe, that such a small deer, can make such a powerful sound. 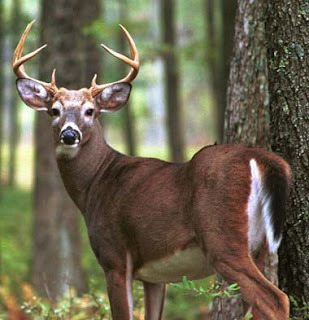 In respect to the white-tailed deer vocalization, on the audio description, it states, "Confidence in ID: Not certain." Does this mean that it is only an assumption that it is a deer? NY itself has quite a bit of Bigfoot activity. Only a thought on my part. If anyone has heard and/or seen white-tails make these type of vocalizations, I would really appreciate feedback, at stbigfoot@gmail.com. Thanks again to Mr. Barackman for all his great work. Yes, I heard the aforementioned call from a whitetail before I knew it was from a whitetail, I even recorded it on a second occasion. The first time I was freaked, and had a weapon nearby and it got closer to my hand. Now for the kicker, the second time, not only did I hear it multiple times on a different day, but the buck charged down a mtn. toward me so I could actually see it vocalize in the manner above, as he protected two does behind him. They then all three, ascended the mtn. to cover again. 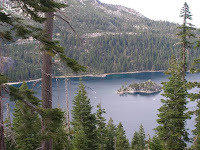 This is in my "known" Bigfoot research area where I have had a nearby sighting. I was understandably nervous in broad daylight by the powers of the calls. Until, I visibly saw the sound emanate from the buck, that is. Thanks bipedalist, for sharing your experience with the whittailed deer vocalization. I'm sure it was a bit unnerving to hear that sound coming at you as it was. I'd love to read or hear more about your BF sighting. Can you share a link if you have it posted anywhere on the web? Thanks!